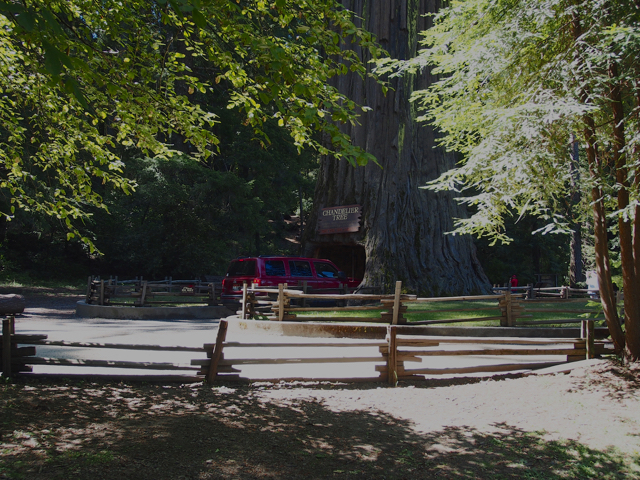 Thirty miles up an intensely winding Route 1 to the town of Leggett brought me to the park where there are nature trails, gigantic redwoods and the world famous Drive Thru Tree, one of the classics of Americana. Of the 30 or so people there at the time, I heard Italian, French, and German being spoken. It truly is world famous. Redwoods are truly majestic! Beautiful pictures and a beautiful adventure…a perfect day! Wish you were here to enjoy it! At least I get to share it with you. 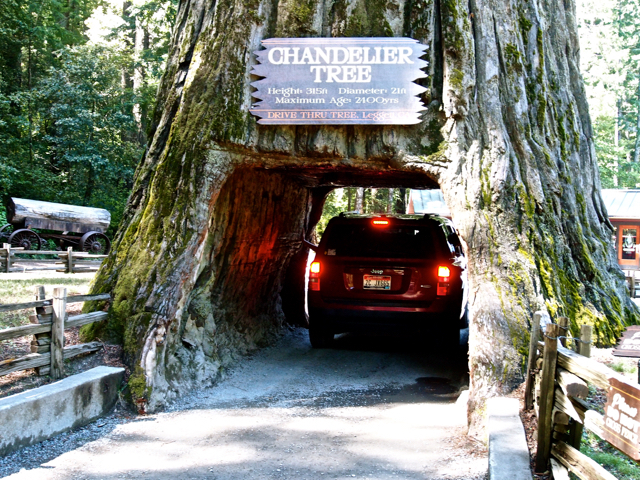 Very cosmopolitan for a very backwoods attraction. Very cool! I’ll have to make that one of my stops on my own travels someday. Yes, it is a cool place.